Anyway, I start my new college on the 15th and I have to take part one of my teacher certification test on September 15th and it is very important that I pass that test, so I will update when I can. Just keep up best you can. We don't get too crazy around here usually. Well, this isn't related to college, but I didn't want to make another thread. I have been inactive the last few days because someone ran into my dad's mail truck back on Friday and he got a concussion and messed up his neck, so now he's stuck at home for a week, so I have had to help him, plus watch my sister while my mom's at work. I've been busy and my brain is just complete mush, plus the Olympics have taken up most of my free time. I promise to update sometime this Wednesday although it may be later in the evening. Sorry for the delay! Hey guys. I'll update sometime this weekend since I don't have a lot of homework. I have to take one of my teacher certification tests next Saturday, so after I have taken it, I will update next weekend. You can do it! You're a smart cookie. I'm seeing a light at the end of the tunnel. 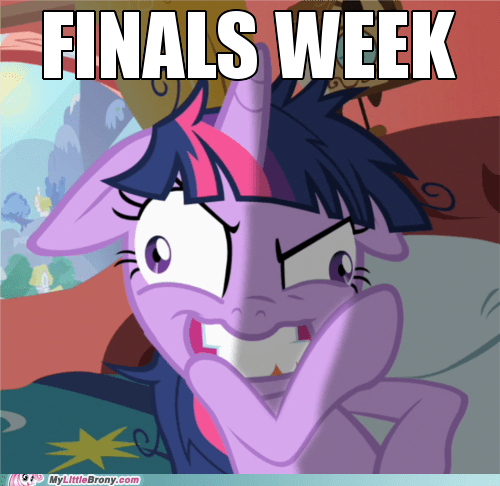 Just six or seven more weeks until the semester is over, thank goodness. After this week, it's going to be smooth sailing. My last internship day is this coming Friday and my last session with the kindergartners of doom is this coming Wednesday. Group projects are done and finals won't be very stressful. Also, I'm no longer sick and I hope I stay that way for the remainder of the winter. I really, really feel like writing again. Break starts now! I'll be lurking here more often during the day instead of only at night. XD Oh, and updating more frequently of course since my muse is beginning to return. Back to school on Wednesday *sigh* This semester is going to be horrible. I will update Friday. Thursday evening at the earliest. I'm trying to get some last minute papers and projects done plus I have writer's block.